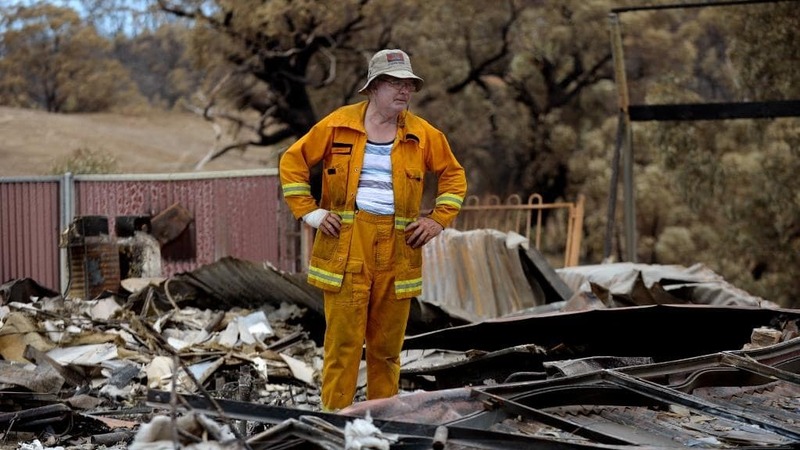 As a CFS volunteer firefighter Jim Donnelly has devoted himself to protecting the properties of others, but in a cruel twist of fate there was one property he couldn’t save, his own. The Kersbrook resident lost his Devils Gully Rd home when the Sampson Flat fire began its destructive march across the Adelaide Hills in 2015. Mr Donnelly received a pager call on that fateful afternoon, and headed to the Kersbrook CFS station but the father of four said a crew of volunteers had already boarded a truck and left. He was later told the blaze had been contained and he returned home. Soon after his neighbour David Miller rang, asking if he knew about the fire. “I said yeah, it’s been contained,” Mr Donnelly said.“He said ‘are you sure?, you better go outside and have a look’.” Mr Miller arrived to help Mr Donnelly attempt to save his home but when a water pump melted and stopped working and flames were bearing down on them they decided they had to make a run for safety. Mr Donnelly retrieved a few precious things from inside his home like photos and put them in the car. As they were leaving, they could see flames on either side of the house. As they headed for Mr Millers house to attempt to try and protect it from the raging fire. Despite their best efforts, they had to flee from there too. Mr Donnelly said his wife, a horticulturalist, was working at a Gawler nursery at the time and was most devastated by the loss of her garden which was filled with rare and endangered plants. They planned to rebuild their house. “You can’t leave a lovely place like this without a house,” Mr Donnelly said. “I wouldn’t wish it on anyone, I’m glad we got out the way we did" Mr Donnelly says.